Step two of the five-step process outlined by the new revenue recognition standard instructs entities to identify separate performance obligations in contracts with customers. First, an entity must identify the promised goods and services in a contract. Once promised goods and services are properly identified, an entity must identify whether they are distinct performance obligations. More information on determining whether performance obligations are distinct can be found in the article Distinct within the Context of the Contract. In later steps, contract consideration is allocated to and revenue is recognized for these performance obligations. ASC 606 includes detailed guidance on what does and does not qualify as promised goods or services. Items that do not qualify as promised goods or services include marketing incentives, setup activities, and administrative tasks. Customer Perspective: Goods or services are considered “promised” when the customer has a valid expectation to receive them (ASC 606-10-25-16). Therefore, a guiding principle in identifying promised goods or services is to analyze the contract from the perspective of the customer. 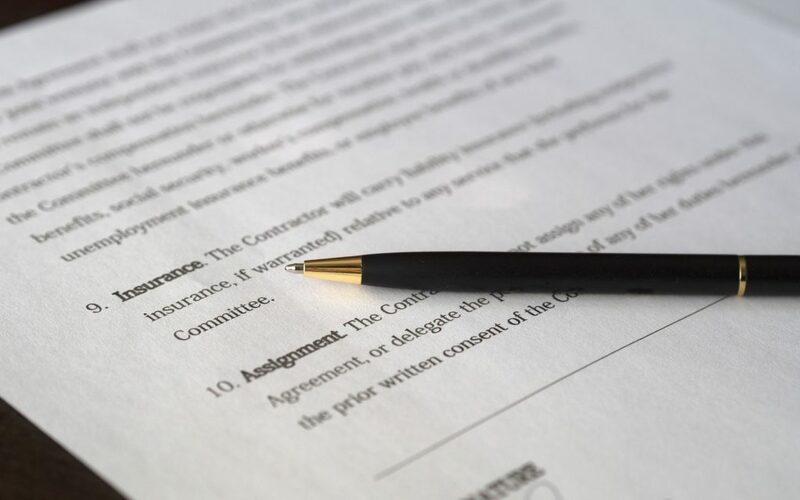 If analysis of the contract leads an entity to believe that a customer sees something as part of the negotiated agreement, either explicitly or implicitly, then that item is considered a promised good or service. Penny Corporation has engaged Bond Corporation to create a special tool to machine engine valves. The machine is intended to lower variable costs and reduce defects by operating within tighter tolerances. The result is a valve that is superior to that of any manufacturer of valve-train products. As Bond is building the machine, after the contract is signed, it decides to include a vacuum system to continuously remove steel shavings from the work surface. The vacuum system was not part of the machine specifications originally contracted for and is intended to show Penny, which is Bond’s newest and largest client, that Bond is willing go the “extra mile” to maintain their business. Adding design elements like this is not standard operating procedure and is very rarely done. Bond Corporation determined that Penny believes that it is only paying explicitly for the originally contracted machine and not for the vacuum system. Further, because this is not standard operating protocol, Bond determined Penny does not believe that it is implicitly paying for the extra item. Analyzing from the customer perspective leads Bond to conclude that the vacuum system is not a promised good or service. Immateriality: Entities are not required to identify performance obligations for promised goods or services that are immaterial in the context of the contract with the customer (ASC 606-10-25-16A). Therefore, revenue may be taken as material performance obligations are delivered without regard to the transfer of such immaterial promises. The concept of “immaterial in the context of the contract” is not applicable for customer options to acquire additional goods or services. Instead, practitioners will need to apply the specific guidance in ASC 606 regarding material rights. Assume the same facts as the customer perspective example. As part of the agreement, Bond Corporation has agreed to offer one day of training to employees tasked with running the machine. However, because the machine is highly automated, the training is brief and mostly regarding setup, maintenance, and safety. Bond has also developed a manual for using the machine. The value of the manual and the training is about $5,000. Because the machine is highly specialized, the overall transaction price of the contract is $5 million. Through careful consideration, Bond has decided on a materiality threshold of 1 percent. Because $5,000 is below the materiality threshold at one-tenth of a percent of the overall transaction price, it is considered immaterial in the context of the contract and should be disregarded in identifying promised goods and services. In other words, the manual and training should not preclude Bond from recognizing the full $5 million in revenue once the machine is delivered. Note that this example applies recent tentative guidance. Implicit Promises: In many cases, contracts are straightforward and explicitly state the promised goods or services. However, the new standard is clear that promised goods or services are not limited to what is explicitly outlined in the contract (ASC 606-10-25-16). If the customer has a valid expectation to receive control of a good or service, then a performance obligation exists even if it is not explicit in the contract. Promises can be implicit in the contract or implied-in-fact through customary business practices. Conrad Corporation has a contract with Profuria Chemical Corporation to manufacture custom, automated production equipment. The equipment will enable Profuria to produce the chemicals that will be used in etching silicon wafers. The chemicals will subsequently be sold to microchip manufacturers. A critical part of Conrad’s business model is to provide better customer service than all of its competitors. While not explicitly stated in the contract, Conrad customarily sends technicians once a month for one year after installation of new machinery to ensure that the machinery is functioning properly. Profuria agreed to a contract with Conrad – and even paid a premium – because of this superior customer service. Because Profuria can reasonably expect that Conrad Corporation will send technicians once a month for a year, the technician visits qualify as a promised service. Furthermore, Profuria paid a premium in anticipation of Conrad’s excellent quality and customer service. Consequently, the technician visits should be included in Conrad’s list of promised goods or services and to consider whether it represents a distinct performance obligation. Fulfillment Activities. Administrative tasks and setup activities are often necessary to facilitate a contract. While these activities are necessary in order to ultimately transfer goods and services to the customer, they do not qualify as promised goods or services because they do not directly transfer a good or service to the customer. Consequently, setup activities may be ignored in the context of identifying promised goods and services and recognizing revenue (ASC 606-10-25-17). ASC 606 further calls out shipping and handling activities either performed before or after the customer obtains control of a promised good. When these activities are performed before a customer takes control of the good, the activities are considered fulfillment activities and not a promised service to the customer. However, when such activities are performed subsequent to a customer obtaining control of the good, the entity may elect to treat shipping and handling as either fulfillment activities or promised services as a matter of accounting policy to be applied consistently across all similar transactions. The costs related to these activities should be accrued if revenue is recognized for the services. Entities must disclose any accounting policy election regarding shipping and handling activities. Performance obligations with multiple goods or services may include promises that should be accounted for as fulfillment costs rather than promised goods or services. For example, a Software-as-a-Service company may provide a license and implementation services to customers. If the company concludes that these two services should be combined into a single performance obligation and that the implementation does not transfer a service to the customer, the implementation service should be treated as a fulfillment cost. DuPage LightCraft, an aircraft parts manufacturer, signed a contract with Kankakee Corporation, a metals broker, for eleven five-pound ingots of refined rhodium worth $1 million. DuPage plans on using this rhodium to manufacture turbine engine components. Before it delivers the rhodium, Kankakee must complete special insurance paperwork and file specific documentation with the government. Kankakee has engaged a local law firm to complete this paperwork. Because these costs merely facilitate the transaction and do not deliver any additional goods or services to DuPage, they are considered setup activities and are not considered performance obligations. Marketing Incentives: Sometimes, an entity will provide incentives to “sweeten” a contract. These marketing incentives typically create a liability or an expense incidental to the contract. In order to be considered marketing incentives, the promised goods or services must be provided “independently of the contract they were designed to secure.” In other words, if the customer pays for a something – even implicitly – it is not a marketing incentive, but part of the contract as a promised good or service. Examples of marketing incentives include customer loyalty points or “free” cell phones provided by a wireless carrier designed to entice a customer to sign a contract (ASC 606-10-25-17) (KPMG Issues-In-Depth – Revenue from Contracts with Customers). Brythia Corporation develops tactical weapons systems for law enforcement and military application. Recently, Brythia made an agreement with the Chicago Police Department (CPD) to deliver 1,000 specially outfitted and engraved Beretta 92 FS sidearms and 500 specially outfitted and engraved Mossberg M590 shotguns. At the time that CPD ordered the firearms, Brythia was running a special promotion – for orders over 500 firearms, complimentary gun racks and maintenance for one year would be provided. Brythia provides these complimentary goods and services free of charge and does not include the price of these items in the contract price in any way. As a result, the gun racks and maintenance are independent of the contract that they were designed to secure, qualify as marketing incentives, and should be expensed. ASC 606 updates certain terminology to clarify and simplify application in practice. Instead of “deliverables” and “perfunctory or inconsequential,” ASC 606 directs entities to evaluate promised goods and services based on materiality in the context of the contract. Also, “promised goods and services” is no longer synonymous with “performance obligations.” Under ASC 606, performance obligations refer to bundles of promised goods and services that are distinct. The concepts of “marketing incentives” and “administrative tasks” are outlined and distinguished from promised goods or services in the new standard. In addition, promised goods and services can be explicit or implied. Identifying promised goods and services is an important step in the revenue recognition process. ASC 606 outlines new terminology and concepts as well as important distinctions between promised goods or services, administrative tasks, and marketing incentives. ASC 606 also instructs entities that materiality in the context of the contract should be considered in assessing performance obligations for revenue recognition purposes. Accounting Standards Update (ASU) 2016-10, issued by the FASB in April 2016, and Memo No. 41, issued by the Transition Resource Group for Revenue Recognition in July 2016, address the subject of this article. ASU 2016-10 codifies the concept of immaterial promised goods and services and provides guidance for shipping and handling activities. Memo No. 41 clarifies the appropriate approach for determining a measure of progress when multiple goods or services are included in a single performance obligation. Entities may conclude that elements of a combined performance obligation do not transfer benefits to customers and should be considered set up costs. The changes made to ASC 606 as a result of this update and TRG conclusions are reflected in the article above. ASU 2014-09, “Revenue from Contracts with Customers. Basis for Conclusions.” BC 90. FASB/IASB, Tentative Board Decisions: “Revenue Recognition—Licenses and Identifying Performance Obligations.” February 18, 2015. FASB, TRG Memo 41: “Measuring progress when multiple goods or services are included in a single performance obligation.” July 13, 2015.